At the Camel Park, you will have the possibility to ride one of these interesting animals around the base of The Fire Mountains. Great fun for all ages. Or just take it easy and simply use this stop as an opportunity to take pictures. Then we continue into the heart of the Lanzarote Timanfaya National Park, where you will see most of the 300 craters and volcanoes of the island. If you ever have wondered what`s inside a volcano, you will be able to look down into several of them here! After such a hot experience, a glass of wine or two is probably the best we can offer to you! We`ll take you to La Geria, the wine district of Lanzarote where you can have a refreshing wine tasting moment! We will return around 2.00pm, on time for lunch. 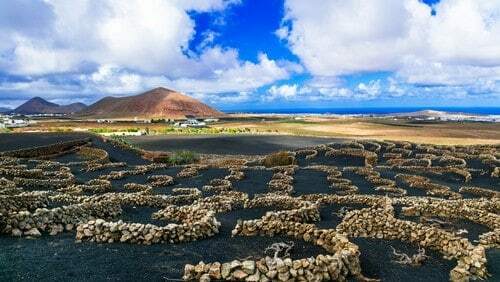 Choose Lanzarote Short south Tour organize your holiday program even before the start of the trip. Day trips, excursions in lanzarote, hiking with children or fully customized activities which advance booking is cheaper than buying directly. It offers Short south Tour Lanzarote. Discover your best activity and enjoy your holiday . The Short south Tour of Lanzarote is one of the best tours.